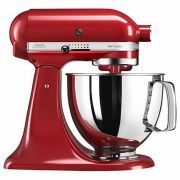 What started as one stand mixer in 1919 has now blossomed into a company offering some of the best kitchen appliances around. 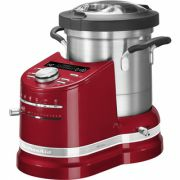 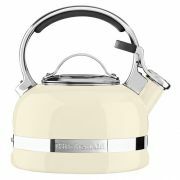 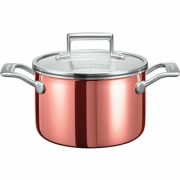 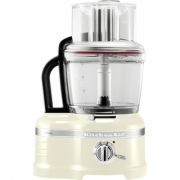 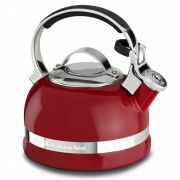 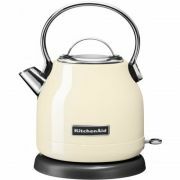 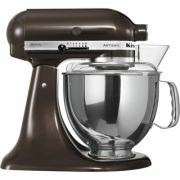 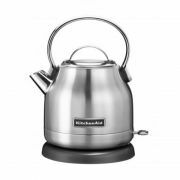 Kitchen Aid has promised to continue delivering products of the same quality craftsmanship, while making use of the latest technology and packing it into a timeless design. 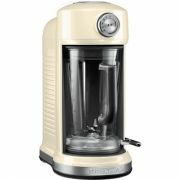 Artisan Burr Coffee Grinder: For those who love the taste and aroma of the freshest coffee, this coffee grinder will mince your coffee beans to a perfect texture and provide the desired taste. 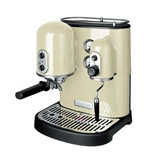 It is the perfect partner to the Artisan Espresso machine. 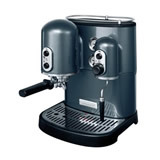 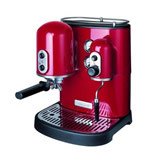 Artisan Espresso Machine: Wake up to the exotic taste of rich and aromatic coffee. 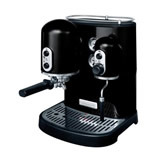 Dual boilers ensure that you enjoy the perfect espresso, while superb cappuccinos are also possible thanks to the frothing function. 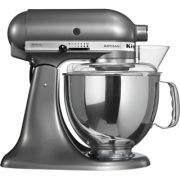 Artisan KSM150 Stand Mixer: Stemming from the H-5 family tree, this product is still a firm favourite and is one of the most powerful Kitchen Aid appliances you could own. 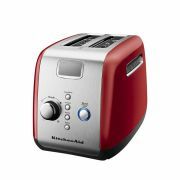 Artisan Toaster: In sturdy cast metal, this toaster is made to last. 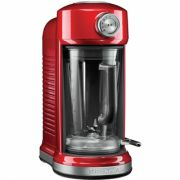 The crumb tray and intelligent heat sensor will allow you to enjoy perfect toast without the mess. 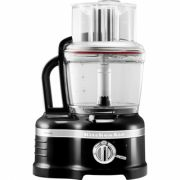 Artisan Waffle Baker: For dessert, nothing beats home-made waffles and with this product, you will consistently pop out perfectly cooked treats to smother in ice-cream and devour. 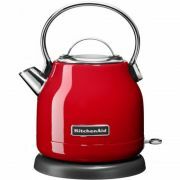 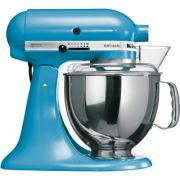 See also the new Mini Chopper, the new kettle and the new toaster all available in this range.